The Federal Reserve and a number of other central banks have recently begun more extensive use of a new addition to the monetary policy toolkit: explicit advance statements about likely future policy, often referred to as “forward guidance.” What is the use of this additional dimension of policy, and why has it come to be so much more important very recently? Has it had the intended effects thus far, and what dangers are associated with its use? And finally, should we expect forward guidance to be a feature only of the current rather anomalous circumstances facing central banks, or should it continue to be used in the future, even after full recovery from the aftermath of the global financial crisis? Michael Woodford is the John Bates Clark Professor of Political Economy at Columbia University. He received his A.B. from the University of Chicago, his J.D. from Yale Law School, and his Ph.D. in Economics from the Massachusetts Institute of Technology. He has been a MacArthur Fellow and a Guggenheim Fellow, and is a Fellow of the American Academy of Arts and Sciences, as well as a Fellow of the Econometric Society, a Research Associate of the National Bureau of Economic Research (Cambridge, Mass. ), and a Research Fellow of the Centre for Economic Policy Research (London). In 2007 he was awarded the Deutsche Bank Prize in Financial Economics, and in 2013 he was named one of the “50 most influential people in global finance” by Blooomberg Markets. 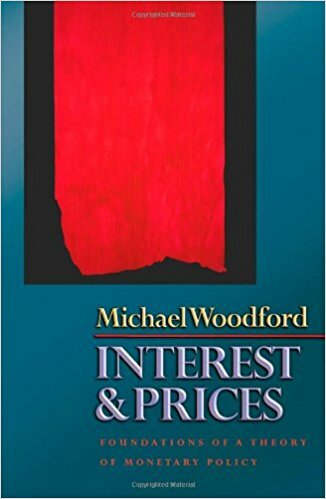 His most important work is the treatise Interest and Prices: Foundations of a Theory of Monetary Policy, recipient of the 2003 Association of American Publishers Award for Best Professional/Scholarly Book in Economics. He is also co-author or co-editor of several other volumes, including a three-volume Handbook of Macroeconomics (with John B. Taylor), a two-volume Handbook of Monetary Economics (with Benjamin M. Friedman), and The Inflation Targeting Debate (with Ben S. Bernanke). Among other editorial duties, he is a Co-Editor of the NBER Macroeconomics Annual, and a member of the editorial boards of the Annual Review of Economics and American Economic Journal – Macroeconomics. He serves on the Economic Advisory Panel of the Federal Reserve Bank of New York, is a scientific advisor for Sveriges Riksbank, the central bank of Sweden, and frequently lectures at and consults for other central banks and policy institutions as well.